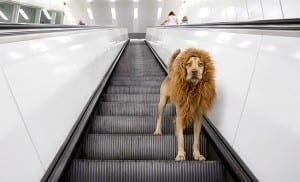 A HOMELESS dog from Spain has become an internet sensation after his photographer rescuer released photos of his new found modelling life. German Julia Marie rescued the pup who was believed to have been thrown from a car in Spain and abandoned. She found him rummaging around bins. 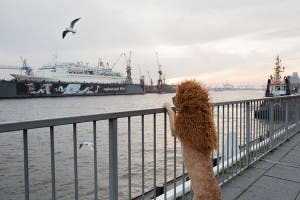 Seeing a resemblance to Simba from The Lion King, the photographer stitched together a mane and has since taken a series of photos of the now canine model. 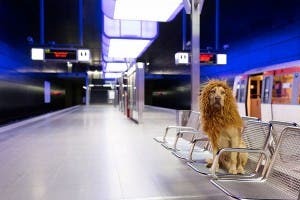 The posing canine is called Tschikko Leopold von Werner, and the project is named ‘Big City Lion’ (Grossstadtlowe), which sees the rescued pooch in his element as king of the urban jungle.